As you may or may not have known, the Pump and Dump game has been quite strong in the market since the Election of a new President, whether or not if it would have been Hillary vs. Trump is debatable based on several factors but that is not the point of this post. 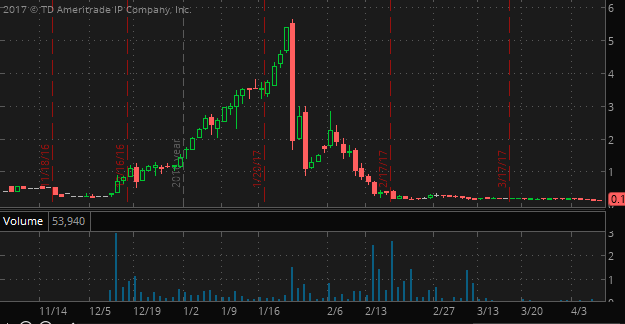 I want to go over why I feel ZENO (ZenoSense Inc) stock will soon collapse by at least 90% or more in the coming days/weeks. WOW looks pretty amazing doesn’t it?!?! nearly a 1,000% gain off the .25 traded lows. Now, let’s get one thing straight, ZENO was something that I saw from day one based on my stock scanning and knowledge of how a pump gets starter, what it looks like and how it functions when it trades. This is how I nailed the recent shorts on PTCO, PNAT, IMMD and several others. I take many things into account when I see these charts and how long they are going to trade for to the upside until the eventual “HAMMERED” day comes. 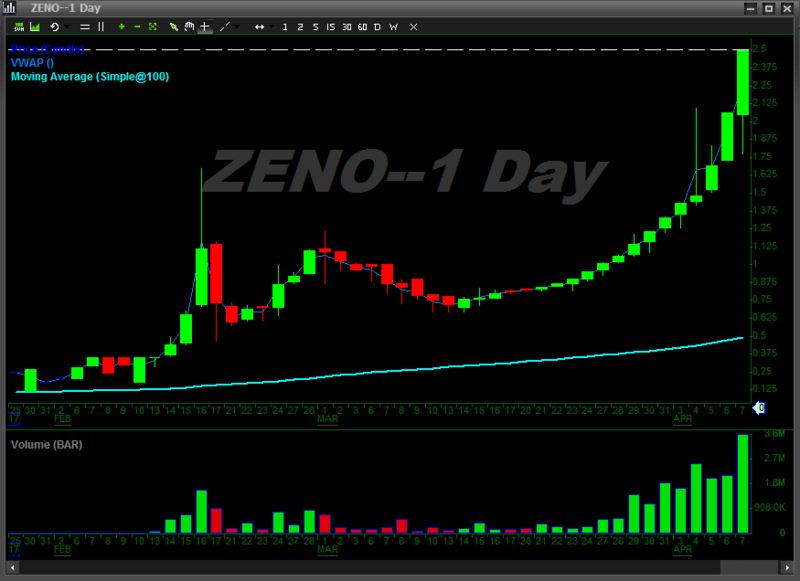 I hopefully will have a screenshot posted here, but I can tell you with Certainty, there has been a promoter during market hours that has a nice little Facebook feed ad that is touting ZENO shares on a daily basis. This should be hint #1 that if you are buying something based on a Facebook ad, you might be barking up the wrong investment tree. 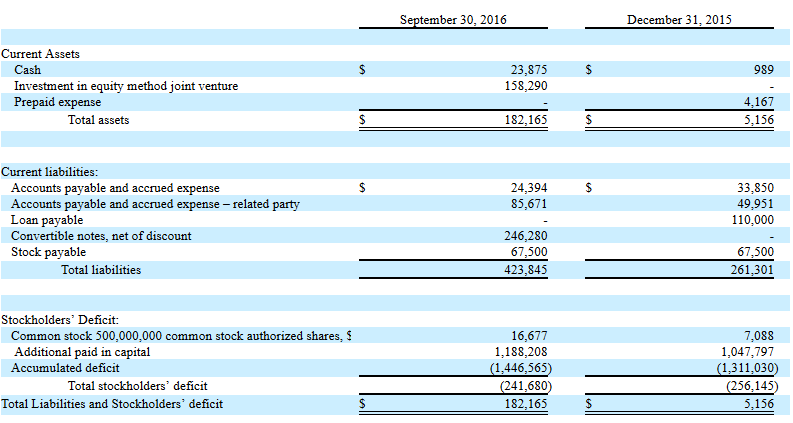 Per the most recent SC-13D Filing on Jun 16th 2017 It would look like someone has a pretty big block of ZENO shares, 67,126,579 to be in fact, or nearly 57.5% of the outstanding shares…I wonder what they are going to do with that $167m+ stock value (for only $150,000 purchase price. 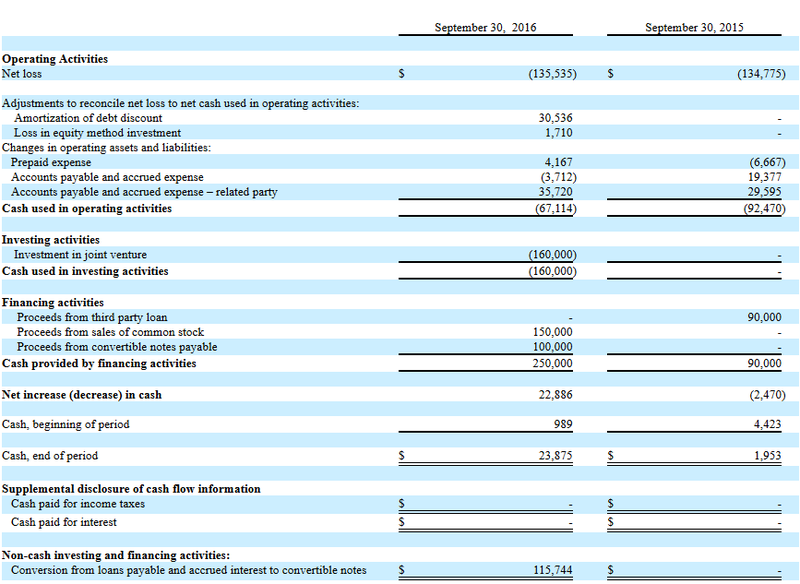 Not a bad return)…well maybe the company is worth that..ya never know even though I highly doubt it. Let’s find out. 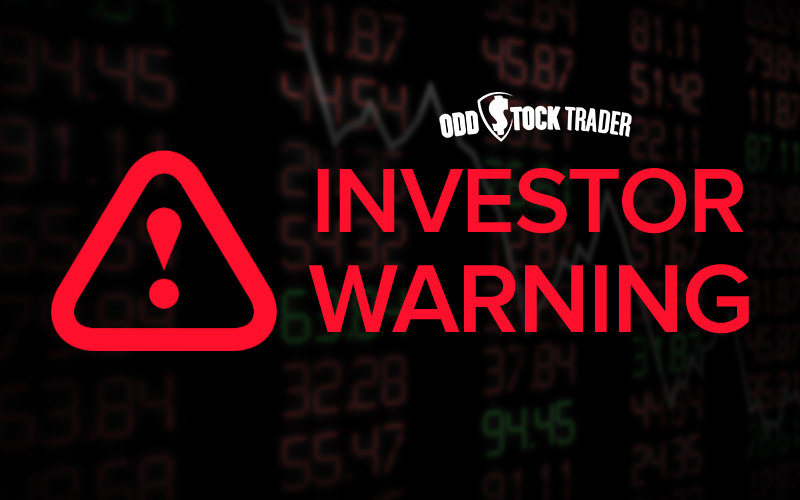 It would appear that OTCMarkets.com is waaaay off on this information based on that most recent filing. So let’s go with the filings number (116,741,875) as I don’t feel like spending 5 hours figuring the exact amount. 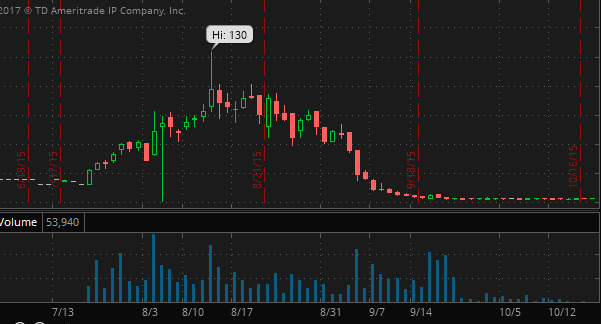 That would put ZENO’s current Market cap Value at…well..
Well that doesn’t look very good now does it??? If that is the route you want to go, let’s go a little further, just how new of a startup and do they think they will stay in business for a long time, I mean with a 1/4 Billion+ Valuation I’d hope so…lets see. I will start with a quick search of the Whois database, Usually this just returns privacy, but sometimes we get lucky. LOOKS LIKE EVEN HE DOESN’T HAVE MUCH FAITH IN THE COMPANY AS THE DOMAIN WAS ONLY REGISTERED FOR 1 YEAR IN LENGTH. Now we simply just google his name and see who he is, usually this part doesn’t happen, but according to google it looks like he is a TV personality in Spain of some sort. So let’s see if we can find any other links. Looks like the most current 8-k report is coming out of, you guessed it Spain, I would think we have a match here of some sort, as to who may have some shares, or is logically behind it. 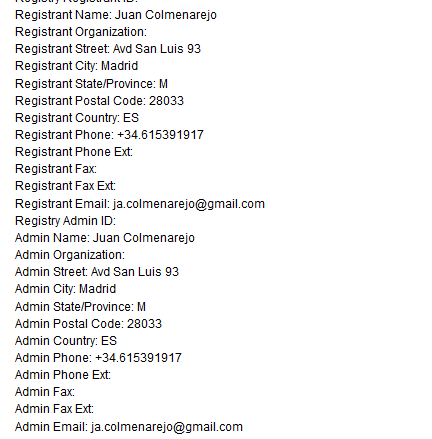 Of course it could be the wrong Juan Colmenarjo, I understand that but I would venture to say the google match is correct. AREN & CLOW Scott was the lawyer for both of these, and guess what…they were both Pump and Dumps. Things starting to come together now as to what ZENO might be???? So, here we have the old AREN chart pump, and, well yet AGAIN I see something very very familiar with this chart and pump that literally collapsed just a month ago. Let’s take a closer look. Lets Zoom out some more…. Wait, whats that at the end, quite a bit of volume there…. You Guessed it…that AREN is now PTCO, the recent pump that someone just got busted for by the SEC. 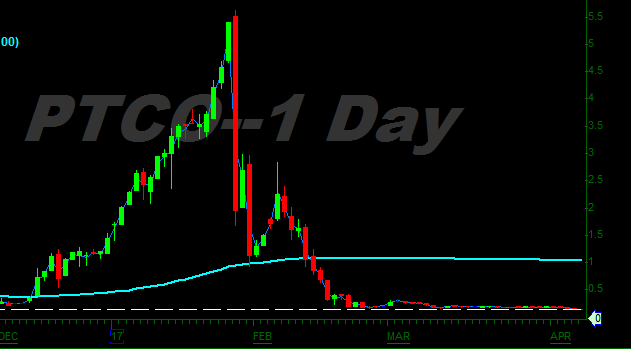 So, we now know that the S-1 registration was done by the same lawyer as the AREN pump and dump, and just recently the PTCO pump and dump (which was just AREN 2.0) You should be putting the peices together in your head about now as to exactly why I think…. As always, do you own due diligence and please review my Disclaimer page.